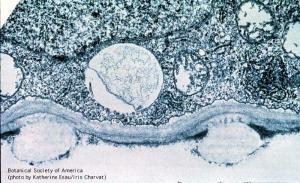 Vessel member and parenchyma cell. BSA Plant Images Online - Vessel member above, parenchyma cell below. Primary wall is partly hydrolyzed in the vessel member. Protoplasmic residue covers the secondary and hydrolyzed primary wall. 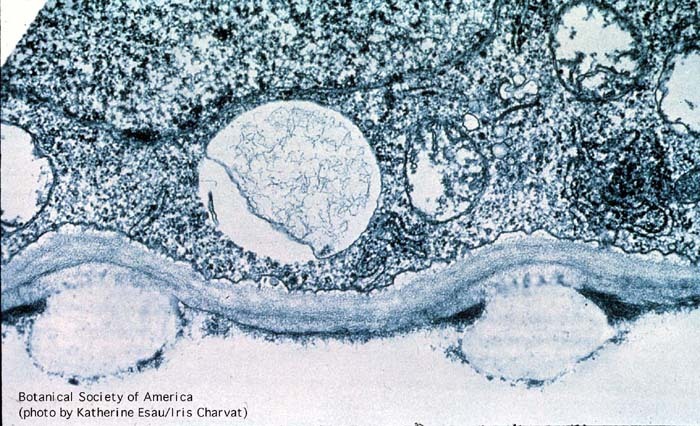 Vessel member above, parenchyma cell below. Primary wall is partly hydrolyzed in the vessel member. Protoplasmic residue covers the secondary and hydrolyzed primary wall.